During the week in this unique historical space spectators will be able to see works of Russian and Ukrainian authors that using the photography pose actual questions about change of city space perception, about feelings, expectations and hopes of urbanized centers inhabitants, about what will stand unchanged in the Future and what will disappear forever. 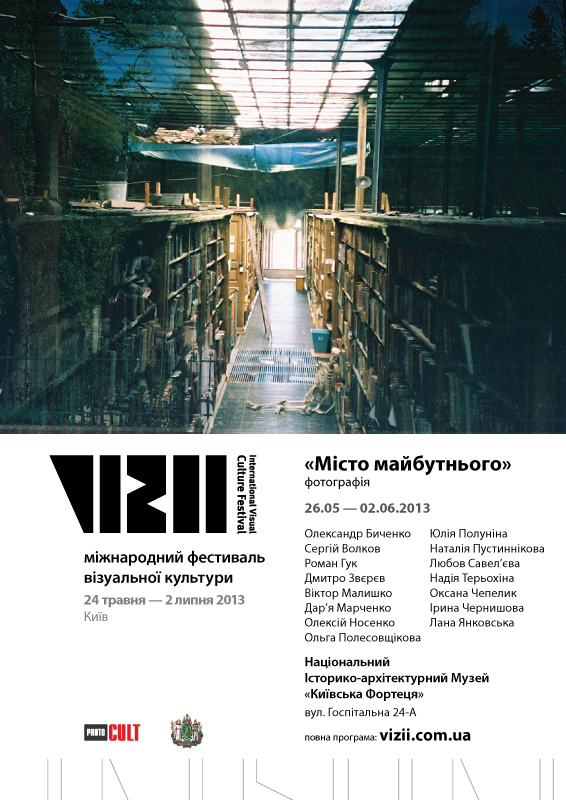 Exhibition participants are: Aleksandr Bychenko, Sergei Volkov, Roman Gook, Dmitriy Zverev, Viktor Malishko, Dariya Marchenko, Aleksei Nosenko, Olga Polecovshchikova, Iulia Polunina, Natalia Pustynnikova, Liubov Savelyeva, Nadejda Terekhina, Oksana Chapelik, Lana Yankovskaya. 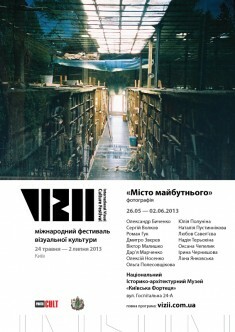 “City of the future” exhibition will be presented by curator — Sophia Kushch. Originators of “Vizii” Festival also make a speech on exhibition opening.